And he’s moving to San Fran! Sayeth Marvel: “You just can’t keep the Man Without Fear down! 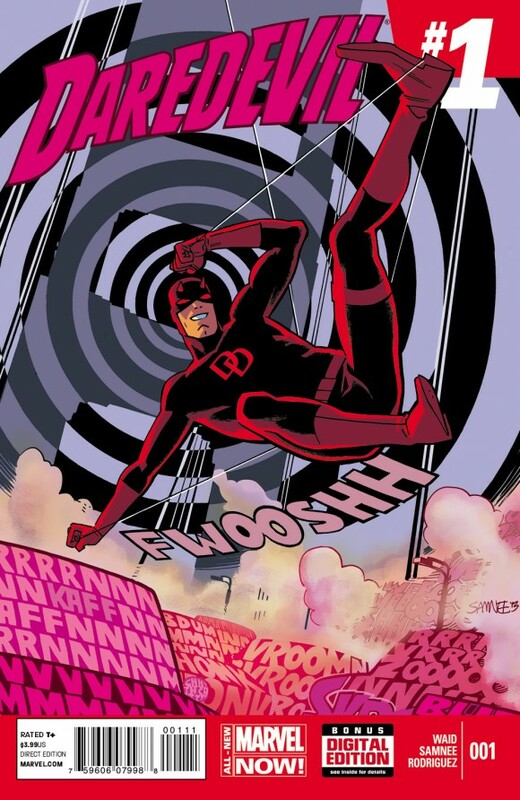 Matt Murdock makes his All-New Marvel Now! debut with an exciting new monthly series starting with Daredevil #1 this March! Beloved by critics and fans alike, Eisner-Award winning storytellers Mark Waid (Captain America, The Amazing Spider-Man) and Chris Samnee (Thor: The Mighty Avenger) re-team to take Marvel’s fearless hero in a bold new direction – starting with a move to The City by the Bay!